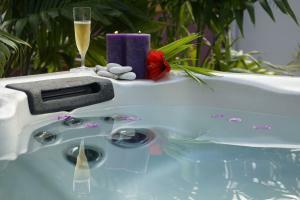 ﻿ Best Price on Villas COCO - CARAIBES - LES PALMIERS -HAMAK in Saint Francois + Reviews! 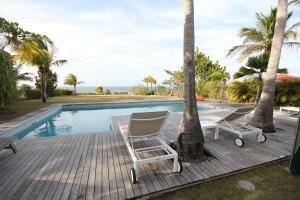 Offering an outdoor pool and year-round outdoor pool, Villas COCO - CARAIBES - LES PALMIERS -HAMAK is set in Saint Francois in the Grande-Terre Region. Le Gosier is 19 mi from the property. Free WiFi is available and free private parking is available on site. Some units are air conditioned and include a seating area with a CD player. There is also a kitchen, fitted with a dishwasher, oven and microwave. A toaster is also featured, as well as a coffee machine and a kettle. Villa Coco also includes a barbecue. Car hire is available at the property and the area is popular for golfing. Guests can enjoy various activities in the surroundings, including snorkeling, windsurfing and diving. Sainte-Anne is 12 mi from Villas COCO - CARAIBES - LES PALMIERS -HAMAK, while Saint-François is 4.3 mi away. 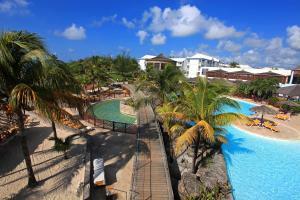 The nearest airport is Guadeloupe - Pôle Caraïbes Airport, 21 mi from the property.